Advances in Botanical Research publishes in-depth and up-to-date reviews on a wide range of topics in plant sciences. Currently in its 74th volume, the series features several reviews by recognized experts on all aspects of plant genetics, biochemistry, cell biology, molecular biology, physiology, and ecology. 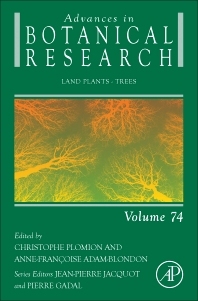 This volume features reviews on the advances in knowledge for the main traits important in fruit trees and forest trees, the advances in tools and resources for genetics and genomics in these species, and the knowledge developed in three rather separated communities of researchers: forest, fruit trees, and grapevines. Anne-Françoise Adam-Blondon is deputy director of the Plant Biology and Breeding Department of the French National Institute for Agronomical Research (INRA) since 2010. She has carried out researches in the field of grapevine genetics since 1995. 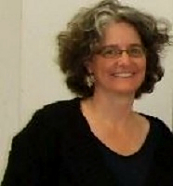 In 2002, she started to develop genomic tools for grapevine and, as such, was one of the coordinators of the French-Italian public effort for the sequencing of the grapevine genome. She has been leading a team working on grapevine and forest tree genomics during two years (2009-2011).